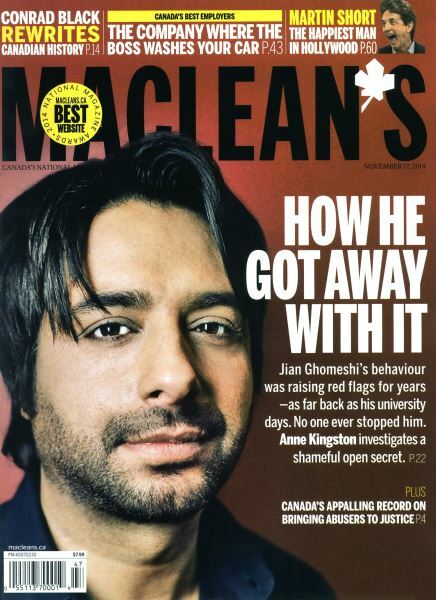 AT 9:05 A.M. on Thursday, Oct. 23, Jian Ghomeshi leaned into the microphone for what would be his last Q with Jian Ghomeshi, though neither the CBC radio host nor his loyal audience knew it. Sitting in the red-and-black, cave-like Q studio that had seen performances by Arcade Fire and visits from Margaret Atwood, Ghomeshi began as he always did: with the trademark cheesy pick-up line addressed to a nation: “Well hi there,” he intoned in his velvet baritone. 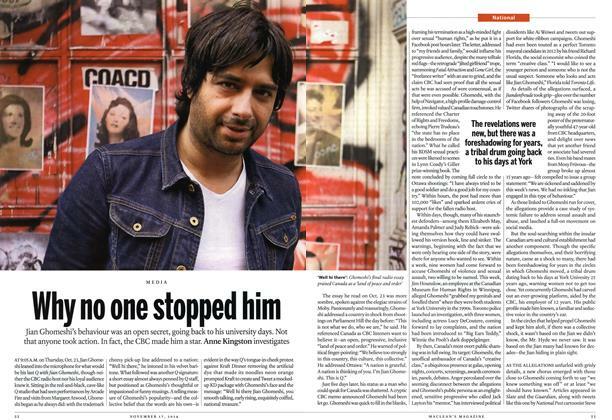 THERE MAY BE some good that comes of the Jian Ghomeshi scandal, as outrageous as that may seem. So far, nine women have said they experienced sexually charged, non-consensual violence or intimidation at the hands of Ghomeshi, the once-popular, since-fired CBC radio host. 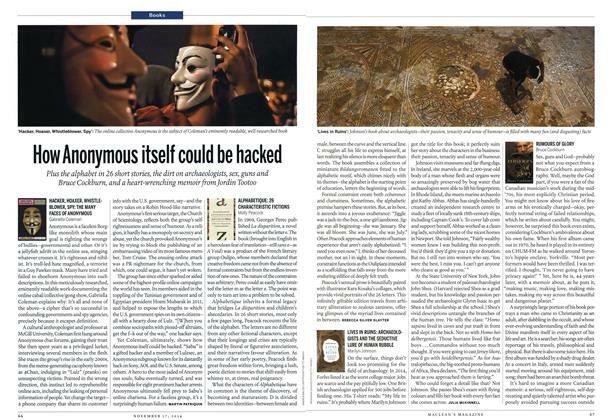 IS IT ANY WONDER WE DON’T REPORT?